The heroes and the villain. 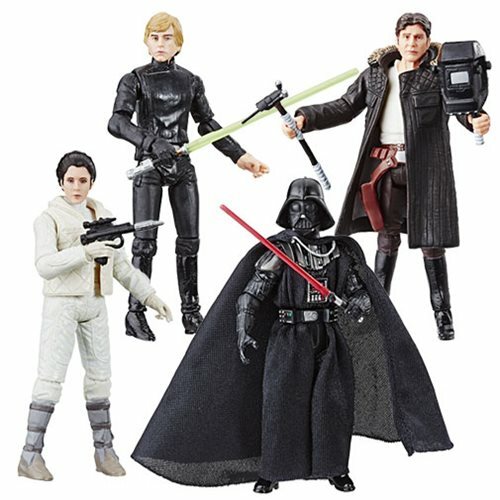 Vintage Star Wars action figures! 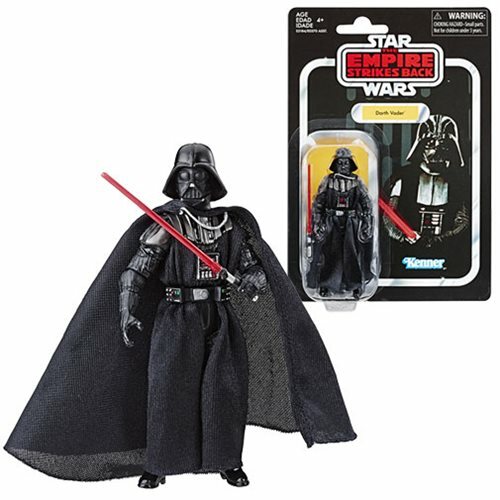 These 3 3/4-inch scale Star Wars action figures feature classic characters and retro packaging! 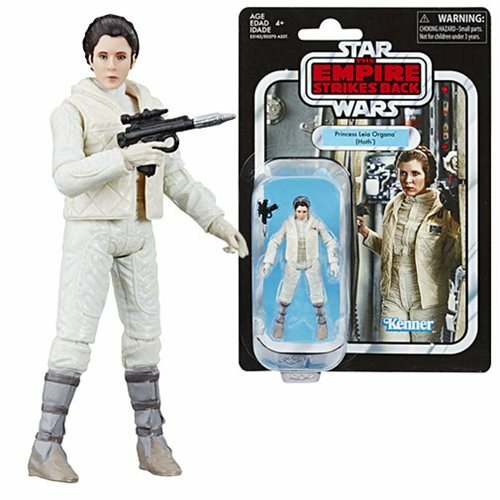 Longtime fans of Star Wars are going to love this classic Kenner-style packaging, right down to the old-fashioned Kenner logo. 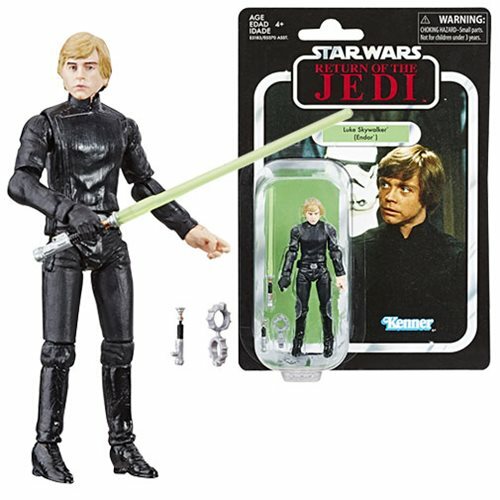 And each Vintage Action Figure comes individually packaged with awesome accessories like blasters, lightsabers, and removable helmets. 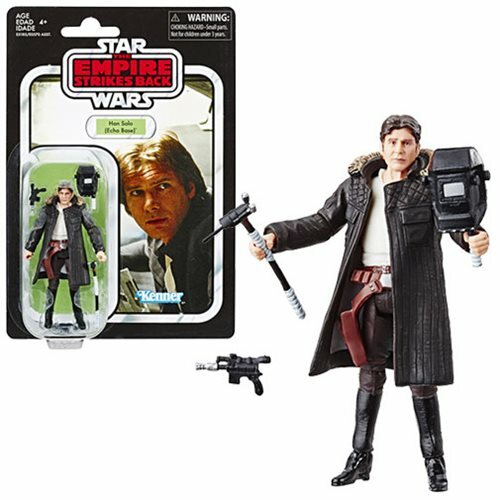 Don't miss this awesome assortment of Star Wars heroes, villains, scoundrels, and robots! Ages 4 and up.